Monay Mishmash is hosted by Kelly Hashway. Finding Hope- Big News!!! Finding Hope is getting a makeover. And to support the new look, I'm going to be launching a second blog tour for it in July. And if you'd like to be involved, I'm up for anything you want to do. Beth's Brigade- In honor of the Hope's make over and new blog tour, I've decided to launch a Beth Fred street team to support not just Hope but all of my other and future titles too. The street team will get sneak peaks and other perks. If you think you'd be interested please let me know in the comments, email me, or hit me up on fb, or twitter, and I will send you an invite to the very exclusive, invite only group ;). Children's Story- So by the time you're reading this, I will have made it through a round of revisions on this guy. My agent doesn't represent chapter books, so it doesn't seem like I'm going to be able to do much with it. I've decided to focus only on critiques I can learn from on this one. And it's an investment toward my million word goal. Time Sheets- Because I haven't gotten much writing done lately, I've decided to make myself a timesheet and record the amout of time I spend on writing and marketing. If I don't get in 8 hours Monday through Thursday, I will have to clock in on Saturday. I will have to count revising/editing as writing, because I just don't have more hours in the day. 5. 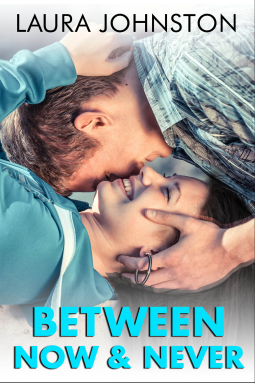 Between Now & Never- OMG! I got this amazing book from NetGalley." Her brother was there that night, and my dad, the FBI agent, was the one who put her mom behind bars. What’s the connection? And why won’t Julianna talk to me now? Somehow, she holds the key to it all, and getting close–real close—to her for the answers I need will be no hardship at all…"
This book was amazing! It was clean on the romance and a little bit edgy in other ways. It was crazy with drug dealers, FBI agents, and guns. It's hard to review this book without giving too much away, but I will say it was told in deuling perspectives, and each voice was strong and unique. I loved it. 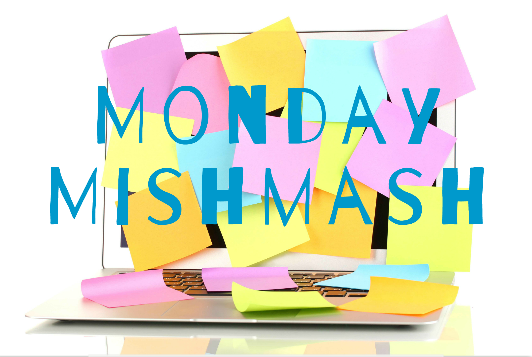 I just realized I never updated my Mishmash post to include your street team. Sorry. We had company all day and spent a good portion of the day running around. I was wiped by evening. You know I'm in for helping with your blog tour. If you need a blog tour stop, I'd be happy to host you. I've been trying to log my work hours too. I get so frustrated with lack of progress, so I had to start holding myself accountable like I would if I wasn't the boss. Wow! Way to go with your writing and marketing preparedness! I think I'm going to try keeping a time sheet next week. That sounds like a great book from NetGalley! And, if you need a blog tour stop, let me know.